Does Your Holiday Event Need to be Insured? Close up of group of business people toasting with wine during a Christmas party. Focus is on foreground. The holiday season brings excitement and joy to friends, families, and co-workers across the country. Special events, time off from work, and celebrations bring everyone together for festivities. Company events are a fun part of the season, where you get to spend time with co-workers away from job responsibilities and daily tasks. Parties and gatherings often involve extensive planning, new locations, and some risk factors. 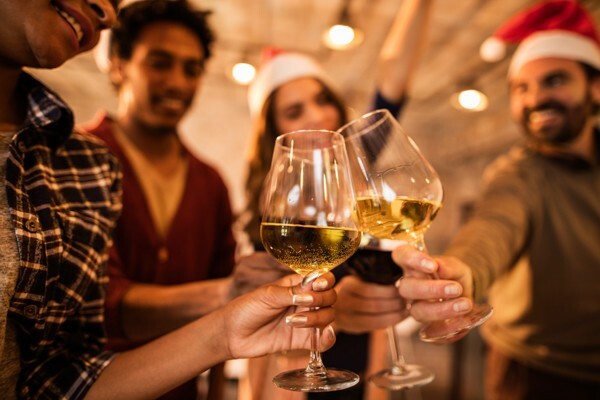 Falling decorations and slippery ice may not be part of the party plan, but holiday events can expose businesses to new liabilities when it comes to the safety of employees and guests. If you are not familiar with event insurance or want to know more, read below to understand why many event planners and businesses opt for this affordable, short-term liability coverage for their celebrations. Big or small, daytime or nighttime, every event comes with its own unique challenges and setbacks. Don’t let what happens at the event become a long-term financial struggle or legal battle. The right insurance coverage can eliminate liability concerns before they arise. Speak with our team of Durham Insurance Brokers to find out more. Why Do You Need Event Liability Insurance? Property Damage – You are comfortable with your guest list and you also trust your vendors, but any event has the potential for things to go wrong. If property damage occurs before or during the event, liability insurance will cover you. From a broken light to a flooded bathroom, when it comes time to pay for repairs, you will be grateful to have opted for insurance coverage. Accident or Injury – Employees, event personnel, guests, and vendors are all vulnerable to accidents. No matter how secure the Christmas tree was or how much salt you put down, it is always better to be safe than embroiled in legal complications. The right coverage will provide medical benefits and compensation for employees and guests alike. Cancellation – Ontario residents are no strangers to an unexpected snow storm. If the entire event needs to be cancelled due to inclement weather or if some other factors make the venue unavailable, this insurance coverage can help you recover some of the costs and deposits that have been paid. 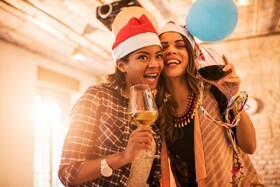 Liquor Liability – Many holiday celebrations include libations, which come with their own set of laws, rules, and risks. Event insurance is necessary if the venue does not cover their bar staff or if you are employing part-time bartenders. Follow local laws and inquire with the venue about their existing coverage and policies. Enjoy the best the season has to offer without concerns and anxiety about safety or accidents. Special events can present special risks, but they do not have to overshadow your good time with the right insurance policy. Petley-Hare has a team of dedicated and experienced insurance brokers in Durham who can help you find an ideal insurance coverage solution. From short-term events to long-term business insurance, we will create the perfect policy for your event. Combine coverage with affordability and make the most out of your commercial space, events, and celebrations. Contact our knowledgeable team for liability insurance in Durham. Call today at 1-800-216-5324 (toll free) or Request a Free, no obligation quote online.